Historic British cottage bike builder CCM has grabbed the headlines with its new Spitfire by responding to the fashion for retro-influenced café racer/scrambler fun bikes better than almost anyone. Versatile, practical or even sensible transport the Spitfire may not be, but as a cool, fun, city bike not much else comes close. The Spitfire is a handbuilt, roadster single available in a variety of styles all of them raw and unfettered by equipment or even comfort, so sensible or even effective transport it isn't. But as a lively, fun style statement the Spitfire has few rivals. Interested in buying a CCM Spitfire? 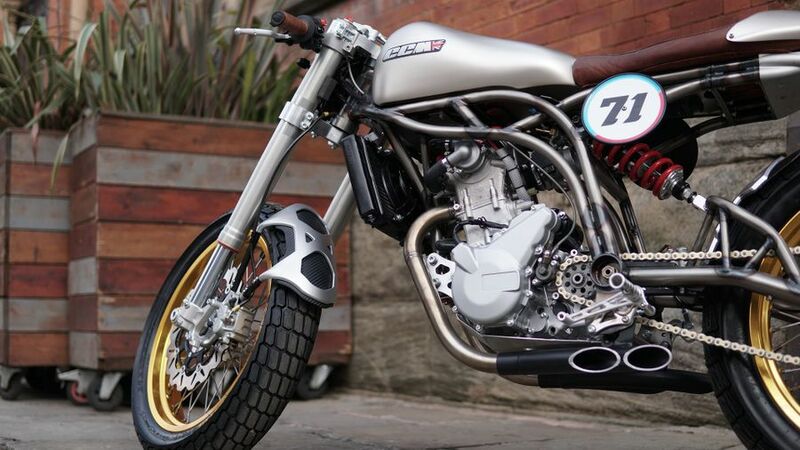 CCM, or Clews Competition Machines, was set up in Bolton in 1971 out of the remnants of BSA's defunct off-road competition department and has spent most of the time since flailing between boom and bust with a series of mostly off-road and sometimes-brilliant handbuilt singles. The Spitfire, first unveiled in 2017, is another of those incandescent moments. Based on its off-road prowess, the Spitfire uses an enduro-style liquid-cooled single in a hand-wrought tubular steel frame with modern, off-road style wheels, brakes and suspension. 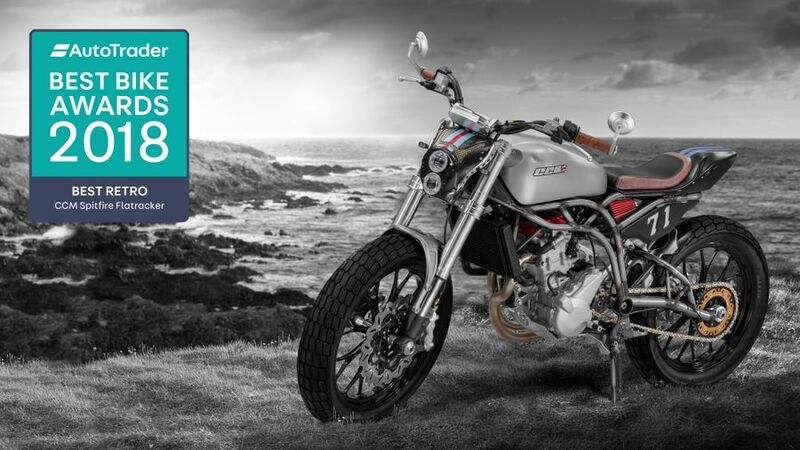 The brilliant bit, though, is its raw, 'street-scrambler', minimalist looks, great detailing and the fact it gels so well and is free from the corporate polish and features mainstream manufacturers would undoubtedly bring. 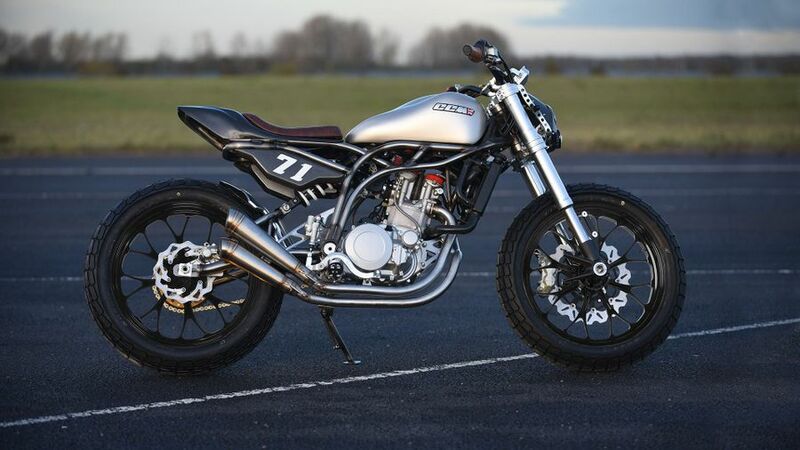 What you see is what you get: two wheels, a minimal, monoshock frame and a semi-offroad upright gait (depending slightly on the variant you go for) - and that's it. The seat is single and thin, the bars narrow and flat, the whole thing is slim and light, so don't expect luxury, comfort or features. 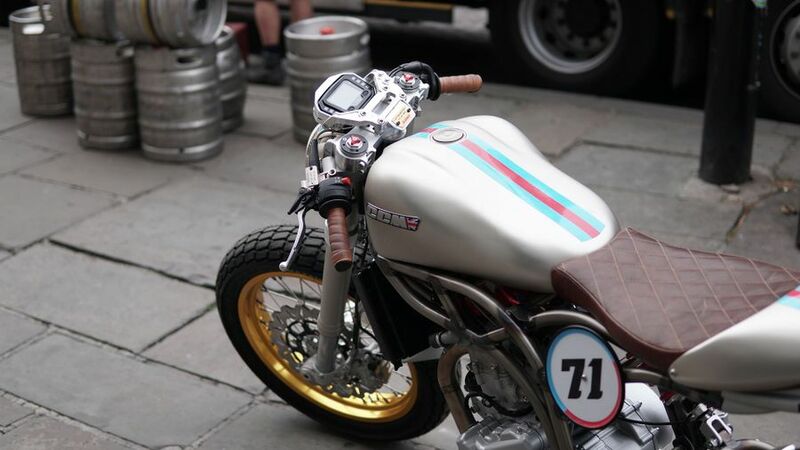 But that simplicity and street scrambler vibe is also the appeal: the Spitfire is light, cute, chuckable and fun as well (in short does at least). If you expect or need anything more you're missing the point. As a raw, 600cc, street single there's no point comparing the Spitfire to, say, a sophisticated, multi-cylinder superbike or even an electronics-laden, litre-class V-twin - that's just not what CCM's little funster is all about. But as an ultra-lightweight, simple yet punchy roadster that's a doddle to get on a ride it's a hoot - and a fairly lively one at that. The BMW-derived 600cc single produces a decent 55bhp and provides instant punch and the single Brembo disc at the front has more than enough stopping power for the sort of riding you're likely to do. Once you're above about 65mph, though, forget it. With decent, enduro-style WP suspension units front and rear we'd expect the ride to be taut and well-controlled if not exactly plush. Handling, too, will be light, sharp-steering and nimble, all of which makes the CCM a lithe, stunt-happy, fun-packed little scamp to ride - particularly at lower speeds on nadgy roads or around town, which is what it's designed to do, after all. When the roads open up of the going gets faster, however, its limitations will start to show. In all honesty, the Spitfire is so new, with so few extended tests yet done and also is so different it's very difficult to be certain with any accuracy about how much it costs to run. But on the basis of what we know so far there should be little to fear. Consider this: it's engine is a proven, simple, 55bhp single so there's no too many demands for fuel, tyres, chain and so on, there are few frills and complications and no owner is likely to do that many miles on it, either. As for residuals, well, with a list price of around £9995 (depending on spec), it's also too early to say, although is unlikely to be too bad, either…. CCM's spitfire, as with their other models, come with a generous manufacturer backed two year unlimited mileage warranty. Servicing is carried out by their mobile servicing team, who can pop to your house or work. There's little to fear as the engine is a proven BMW unit and it's generally so easy to work on, although you should bear in mind that the number of dealers able to do it are fairly few and far between. The conventional thinking on 'equipment' simply doesn't apply here. Rider modes or other sophisticated electronics? Nope. Heated bars or seats? Nah. Luxury luggage or sound systems? Not on your nelly. Instead, what's far more important is style and raw spec. 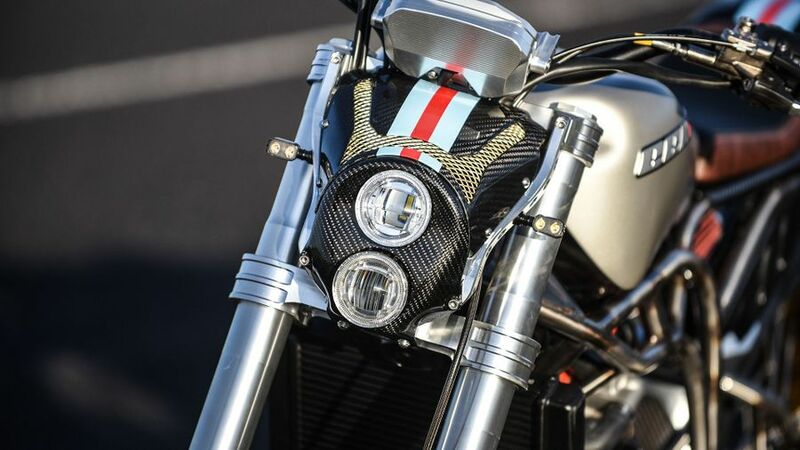 The base, original, 150-units only Spitfire is defined by its wire wheels, flat bars and underslung exhausts (along with natty touches like the brown seat and grips and LED lights); the spin-off Café Racer has clip-ons, rearsets, extended seat and number boards; the Flat Tracker has, naturally enough, flat track style seat, bars and 18in cast wheels; the Scrambler version has a dual seat, wires again and high bars while the most recent Bobber (at £9995, most of the other variants are already sold out) has 16in white walls, low seat and more. Get the idea? There's no getting away from it: the Spitfire, in any of it's guise, is no conventional motorcycle, certainly not in terms of also being useful transport, and nor is for wallflowers. While CCM themselves are no conventional motorcycle company with dealers in most towns. What the Spitfire IS though is fabulous looking, decently specced and, by all accounts, a hoot to ride as well. In other words it's a fashion victim 'toy' - and a brilliantly executed one at that.